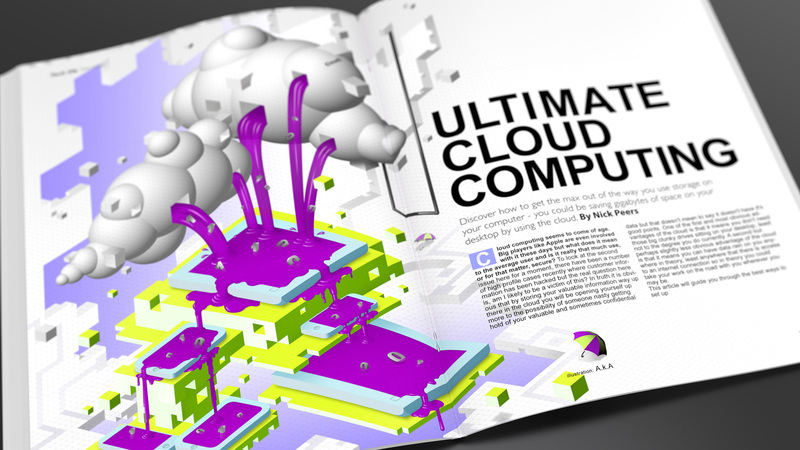 This illustration was commissioned by the lovely guys at Future to discuss the concept of cloud computing. 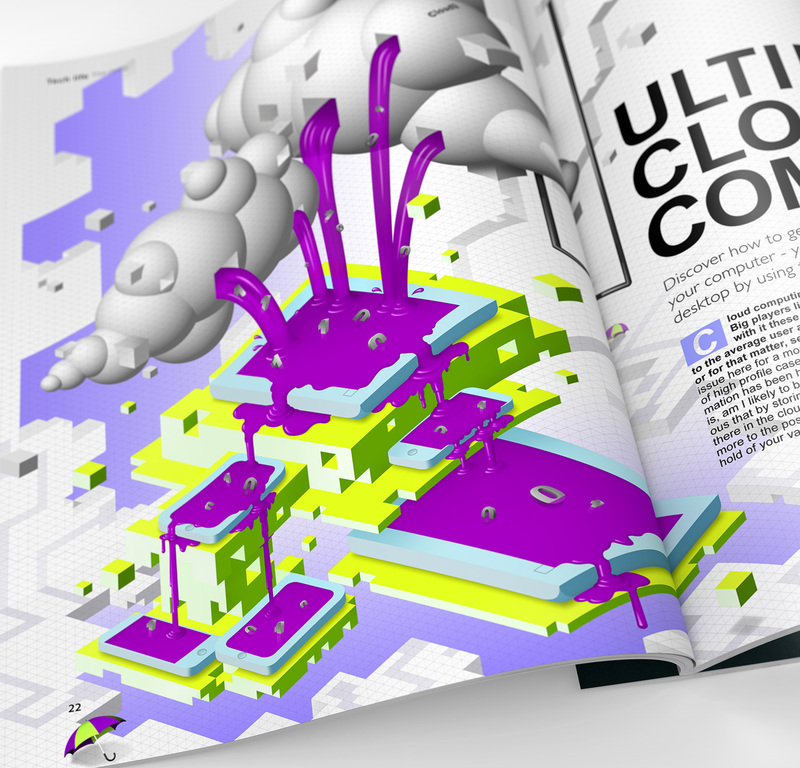 The brief was to make a clear representation on what the "cloud" was about and so we got to use our isometric style to clearly illustrate the article. We really felt it was important to convey the concept clearly and in a stylised way. The artwork was created mainly using vector imagery but the planning needed was massive. 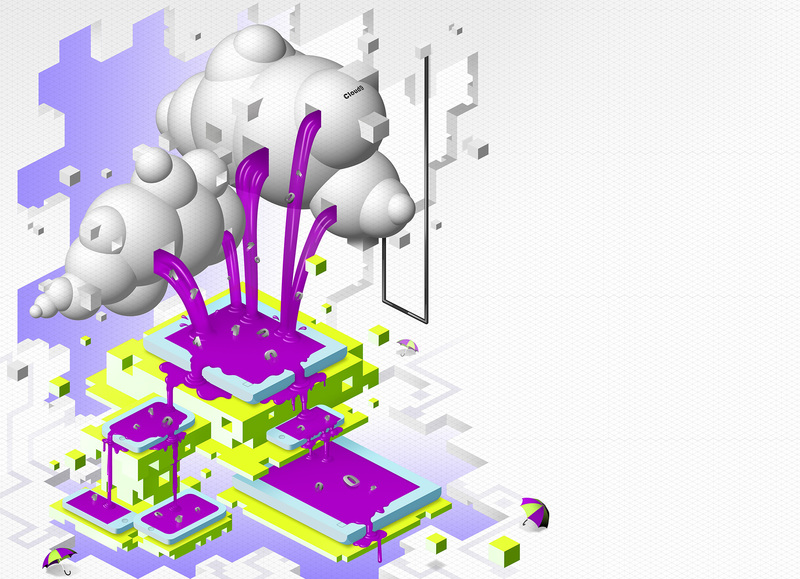 Plenty of binary liquid flowing around from our 'cloud'.